Wild Wolf Slots has a generous 50 paylines, FREE spins, Stacked Wilds and more! Login to your account, join the wolf pack and win big! Good luck! Be a part of the wolf pack and have the best time online whilst winning big! Wild Wolf Slots has 5 reels and 50 paylines giving you loads of chances to win! The Howling Wolf is your Wild, and can also act as a Stacked Wild. Plus, your FREE spins bonus will begin when the Bonus Scatter appears on the 2nd, 3rd and 4th reels. 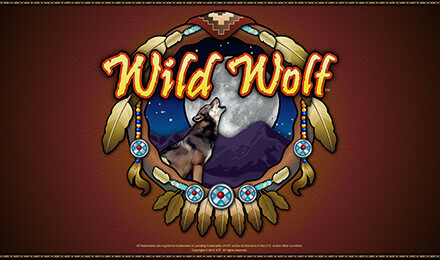 There are 255 up for grabs, so login and play Wild Wolf Slots today!